Kinston was established in an area known as Atkins Bank that had once been inhabited by the Neusiok Indians. Originally called “Kingston” in honor of the newly ascended King George III in 1762, the name was changed after the American Revolution made such royal tributes unpopular. First, it was called “Caswell,” in honor of the first Governor of North Carolina, Richard Caswell, but it eventually reverted to Kinston. In 1791, Lenoir County was officially established with Kinston as the county seat, though the city remained unincorporated until 1849. During the Civil War, Camp Cambell and Camp Johnston were established near Kinston as training camps, and the town’s industries produced hardtack and shoes for the military. On December 14, 1862, the Battle of Kinston took place in and around the city. After the war, Kinston became a major tobacco and cotton trading center. By 1870, the population had increased to 1,100 people and grew to more than 1,700 within a decade. It was around this time that the first Jews arrived in Kinston. The Einstein family was probably the first Jewish family to settle in Kinston. According to the U.S. Census, they were living in Kinston by 1867. Simon Einstein, who was deaf, was born in Bavaria, and lived in Virginia and Washington D.C. with his wife Rachel before opening a dry goods store in Kinston. Einstein was quickly successful, owning $10,000 in personal estate by 1870. By 1880, Simon and Rachel had eight children, though the Einstein family had left Kinston by the time of the 1900 census. In the late 19th century, the Jewish community of Kinston was small, and passing on Jewish traditions to the next generation was often difficult. Three of Sol Oettinger’s four children intermarried and became Christians. Abe Oettinger and his wife Bertha remained observant Jews, but were active in St. Mary’s Episcopal Church, located across the street from their house. Abe sang in the St. Mary’s choir for many years, and when the church burned in 1900, he made the first contribution to its rebuilding fund. Despite this activity, Oettinger never joined the church, and still observed Jewish traditions, including celebrating Rosh Hashanah and fasting on Yom Kippur. Nevertheless, only one of their nine children married a Jew. This high degree of intermarriage reflected the social acceptance Jews enjoyed in Kinston, though it also proved to be an impediment to establishing a permanent Jewish community in the town. It was not until there was an influx of Jewish immigrants from Eastern Europe around the turn of the century that an organized Jewish community developed in Kinston. Between 1900 and 1910, about 15 Jewish families lived in Kinston while several more lived in the towns outside of the city. These early residents included Hyman Stadiem, Joseph Vatz, Louis Foxman, Morris Pearson, Abraham Diamond, Abe, Ben, and Michael Marks, M. Adler, Hyman Hacker, Mack Goldstein, Ben Naiman, Wolfe and Aaron Adler, Abe Schultz, Eli Nachamson, Rafael and Sam Burke, Aaron and John Michaelson, and M. Bloom. The majority of this group were immigrants from Russia, and owned dry goods stores. In 1903, a group of these Eastern European Jews established Congregation Tifereth Israel. The following year, they hired Rev. I. Goodkowitz, who led services for the congregation until 1916. One of these Russian Jewish families who had a significant impact on the Kinston Jewish community was the Pearsons. Morris Persohn, who was born in 1863 in Lithuania, immigrated to the United States in 1882 and changed his name to Pearson. He initially settled in New York, where he married Annie Wolfe. After the birth of their third child, Morris and Annie decided to move to North Carolina. They originally settled in Richlands, where Morris was a peddler, walking throughout the countryside selling his wares. A year after their fourth son, Lazarus, was born in 1895, Morris gave up his itinerant profession and opened Pearson’s Dry Goods Store in Richlands. Soon after, he opened another store in Kinston, moving his family to the larger town. During this time, Morris also acquired a large tract of farmland nearby, where he grew tobacco in addition to cotton, corn, and grapes. When his wife died in 1906 after being thrown from a carriage, Pearson returned to New York with his two youngest children, leaving his oldest son Louis to look after the rest of the family in Kinston. While in New York, Pearson met and married his second wife, Sarah, and returned to Kinston. In 1911, Louis founded a retail store, the New York Clothing Company, with his brother Sam and cousin Alex Gross. Sam and Alex eventually left the firm, but Louis would continue to run it until his death in 1965. Louis’s son Henry grew up to become an internationally renowned abstract artist and art teacher at the New School for Social Research in New York. Many of his geometric abstractions have been displayed at the Metropolitan Museum of Art, the Museum of Modern Art, and the Hirshhorn Museum and Sculpture Garden, among others. The Blooms were another family that came to Kinston around the turn of the century. Morris Bloom’s path to Kinston was filled with hardship and tragedy. Born in 1872 in a tiny village near Odessa in Russian Ukraine, he became a bootmaker’s apprentice at the age of ten after his father died. Morris eventually married and had three sons. When he was 22, he was drafted into the Russian army, and served for four years. Upon his return, his wife died of pneumonia and he married a second time. When the government tried to redraft him into the army during the Russo-Japanese War, Morris Bloom decided to leave Russia. He eventually made his way to London, where he worked and saved to be able to afford ship’s passage to America. After settling in Lynchburg, Virginia, and working as a shoemaker, Bloom was able to bring over his wife and children. In 1909, the family moved to Kinston, where Morris opened Bloom’s Shoe Shop, which remained in business until the 1950s. Bloom continued to make shoes until he died in 1966. ​During the 1920s, a number of other Jewish families moved to Kinston. By 1937, 130 Jews lived in the town. One of these newcomers was Morris Heilig, who moved to Kinston from Goldsboro in 1928 to open a furniture store. He and his wife Ida lived in Kinston for 68 years. With these growing numbers, Kinston Jews formed other Jewish organizations. A B’nai B’rith lodge had been founded soon after the turn of the century. By 1915, Kinston Jews had established a local Zionist organization that boasted 50 members, with several coming from surrounding towns. Not long afterward, Jennie Nachamson organized a local chapter of Hadassah, which soon merged with the congregation’s Sisterhood. Tifereth Israel grew along with the Kinston Jewish community. In 1913, the congregation purchased land for a cemetery. Ten years later, the congregation began looking for a permanent home after twenty years of worshiping in rented rooms. 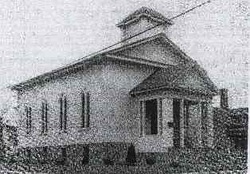 In 1924, Tifereth Israel bought the Second Methodist Church and converted it into a synagogue. The Pearson, Foxman, and Stadiem families were the primary donors for the new synagogue. In 1943, Tifereth Israel hired Norman Shapiro as their rabbi, who helped to energize the small congregation. Rabbi Shapiro introduced a children’s choir and a regular discussion group about modern Jewish issues. The congregation took in Jewish service men stationed in the area during World War II, with members often inviting the soldiers into their homes for dinner. Sixteen members of Tifereth Israel served in the military during the war. After the war, Tifereth Israel moved away from the traditional worship that had marked its first 40 years. In 1946, the congregation hired Reform Rabbi Jerome G. Tolochko, who led the congregation toward Reform Judaism. Soon, the congregation changed its name to Temple Israel. Rabbi Tolochko introduced the confirmation ceremony in 1947, and a year later started using the Reform prayer book. In 1952, Temple Israel, with 32 member families, made these changes official by joining the Reform Union of American Hebrew Congregations. Despite this relatively small number of members, Temple Israel not only employed a full-time rabbi, but also began construction on a new synagogue. In 1954, a new temple was built at the corner of Vernon and LaRoque Avenues for $100,000. At the dedication ceremony, which began with the singing of America’s national anthem, Guy Elliott, the mayor of Kinston, and James Miller, Jr., the president of the Kinston Ministerial Association, brought official greetings. The new building included a sanctuary that could seat 150 people, a smaller chapel, a social hall with a stage, a kitchen, and six classrooms. The religious school classrooms had state of the art technology for the 1950s. Rabbi Tolochko used engaging audio-visual aides, such as slides, film strips, and flannelgraphs. The rooms were linked together so one lesson could be broadcast to each room simultaneously through loudspeakers. The audio control studio located in the new temple could send out six different pre-recorded lessons to the six classrooms at the same time. Rabbi Tolochko served Temple Israel until his death in 1972. While most Kinston Jews remained in the retail business, a few made their mark in manufacturing. Sam Fuchs, a Polish immigrant, started working in the garment trade soon after arriving in New York. In 1925, he started the Hampton Shirt Company with two other partners. After a few years, Fuchs and his partners moved the factory from New York to Allentown, Pennsylvania. In 1935, the Hampton Shirt Company bought the Kinston Shirt Company, and Fuchs began commuting to Kinston from New York. In 1939, the company sold its northern factories and Fuchs moved to Kinston with his family. Fuchs’ daughter Pearl married Sol Schechter, and the couple moved to Kinston and purchased the Lenoir Shirt Company. In 1946, the Fuchs family started Samsons, Inc., which was owned equally by Sam Fuchs’ five children. Samsons merged with Hampton Shirt Company in 1963; the company later went public as Hampton Industries. Sol Schechter remained president of the company until 1994. Schechter was the congregation’s president for 31 years and also served as president of the Kiwanis Club. He and his wife Pearl were significant local philanthropists, supporting the Lenoir Memorial Hospital, Kinston Public Library, the Kinston Community Health Center, and the local United Way. In 1971, the Kinston Chamber of Commerce named Sol Schechter the Outstanding Citizen of the Year. In 1995, the Kinston City Council gave Sol and Pearl Schechter a key to the city in recognition of their leadership and service to the community. The financial support of the Fuchs and Schechter families helped Temple Israel afford its rabbi and new synagogue; indeed, the chapel in the new temple was named after the Fuchs. Over the last several decades, Temple Israel and the Jewish community of Kinston have experienced a decline in numbers. According to the American Jewish Year Book, 105 Jews lived in Kinston in 1968. Since then, this figure has dropped by more than half. In 2002, only 48 Jews lived in Kinston and belonged to Temple Israel. Despite these declining numbers, Temple Israel still employed a full-time rabbi until 2002, when Rabbi David Rose died after leading the congregation for 14 years. In the wake of his death, the congregation continued to meet for lay-led Friday night services, and began bringing in retired rabbis to lead High Holiday services. Nevertheless, the congregation realized that its future was not assured. In 2002, Temple Israel donated its cemetery, an unused half-acre of land, and a $75,000 endowment fund to the city of Kinston in return for the city’s promise to maintain the cemetery in perpetuity. By 2009, there were only 16 members of Temple Israel, though they continued to meet regularly, keeping Judaism alive in Kinston.